1 YRS Yongkang Yuelon Electronic Equipment Co., Ltd.
5. Suitable for all heat sources, high temperature resistance, up to 400F / 200C. Detailed Images Related Products Packing & Delivery Our Service 1. Fast Delivery . JQ people always attach great importance to quality controlling from the very beginning to the very end. 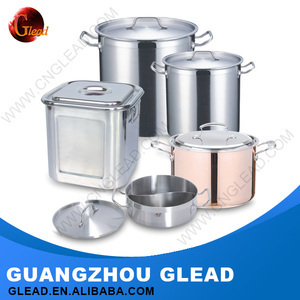 6 YRS Guangzhou Glead Kitchen Equipment Co., Ltd.
8 YRS Yongkang Haocheng Shengshi Industry & Trade Co., Ltd.
5 YRS Foshan New Shanhai Hardware Product Co., Ltd.
4 YRS Guangzhou Kingchoose Tableware Product Co., Ltd.
10 YRS Jiangmen City Xinhui Area Xinxing Metal Product Co., Ltd.
1 YRS Jiangmen Changwen Cookware & Kitchenware Co., Ltd. In addition, we have strong capability to customize any design, shape and size as per specific requirements. 3. 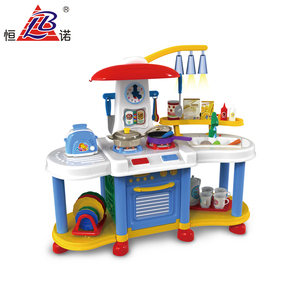 Can I request a sample9 Yes, we could provide our existed samples to customer for reference. 4. Can I have the customized logo printed on the product9 Yes, we could make customized logo printed as per customer's requirements. 6) Best delivery ,high quality guaranteed and competitive price. Thank you so much for your attention and c oncern . ** Let &rsquo; s talk more and find a way to cooperate. 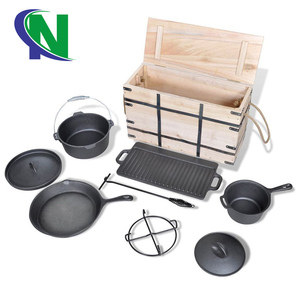 2 YRS Dongguan Yangjing Kitchenware Co., Ltd.
8 YRS Zhejiang Hanxin Cookware Co., Ltd.
packing 1 pc/gift box with poly foam packing or or plastic casing, 4pcs/carton . 3. 1 pc/gift box with poly foam packing or or plastic casing, 4pcs/carton. 1)The specification and composition can be made according to your requests. 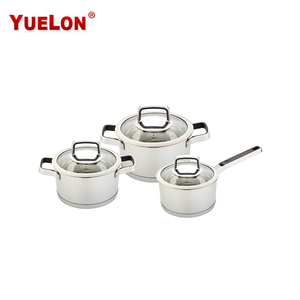 10 YRS Chaozhou Chaoan Chuangyu Stainless Steel Co., Ltd.
14 YRS Ningbo Kingpool Metal Product Co., Ltd.
7 YRS Jiangmen Jiali Stainless Steel Products Co., Ltd.
7 YRS Shenzhen QANA Import and Export Co., Ltd.
Alibaba.com offers 1,608 german cookware products. About 64% of these are cookware sets, 6% are pans, and 4% are soup & stock pots. 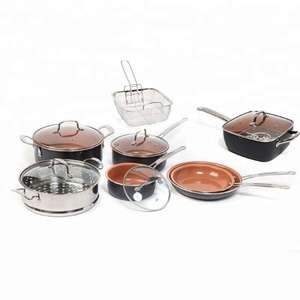 A wide variety of german cookware options are available to you, such as ce / eu, ciq, and fda. You can also choose from eco-friendly, stocked. As well as from metal, ceramic. 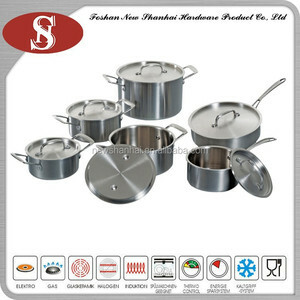 And whether german cookware is stainless steel, cast iron, or aluminum alloy. 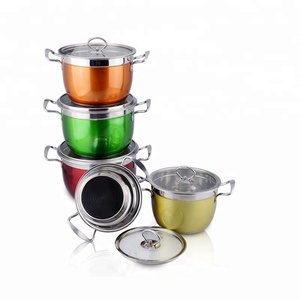 There are 1,608 german cookware suppliers, mainly located in Asia. 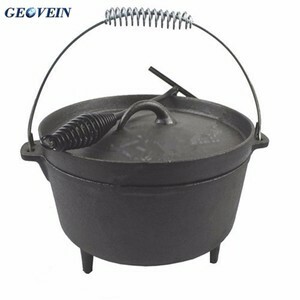 The top supplying country is China (Mainland), which supply 100% of german cookware respectively. 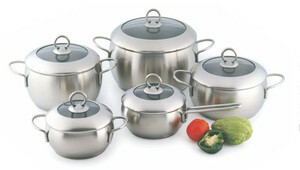 German cookware products are most popular in Eastern Europe, North America, and South America. You can ensure product safety by selecting from certified suppliers, including 388 with ISO9001, 136 with Other, and 113 with BSCI certification.